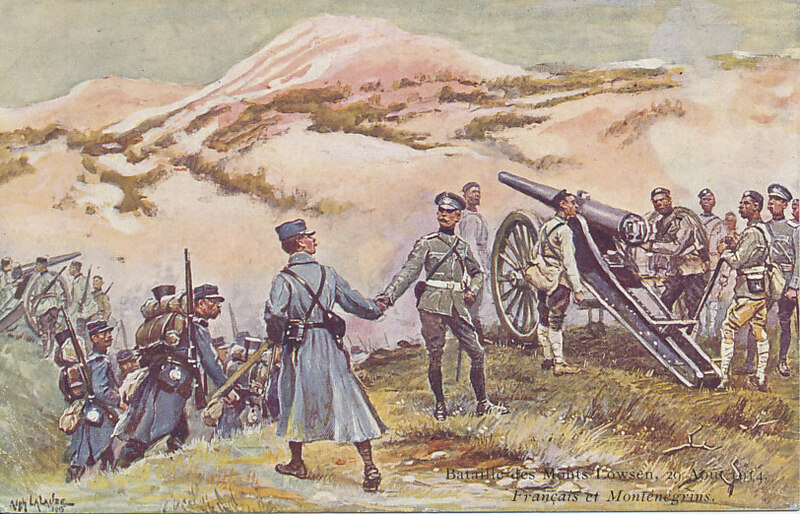 French and Montengrin troops on Mount Lovćen. From Mount Lovćen, Montenegrin artillery were able to bombard the Austro-Hungarian naval base at Cattaro, and began doing so in August, 1914. 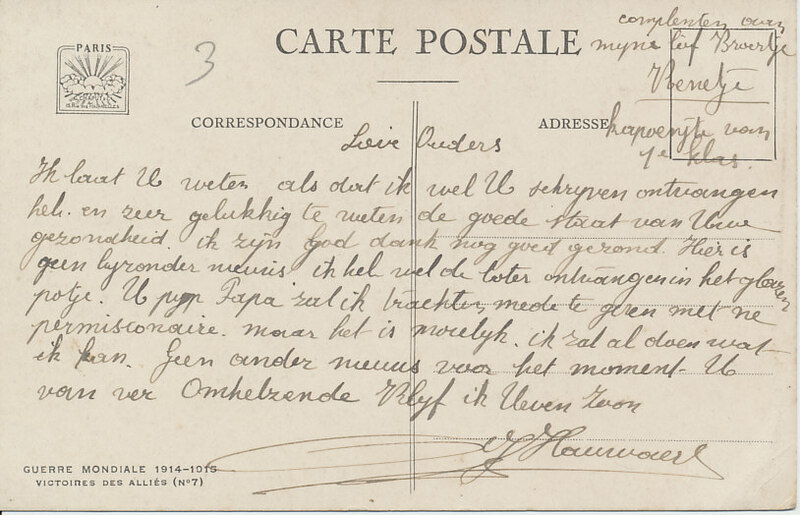 They conducted an artillery duel with Austro-Hungarian guns on land and on the armored cruiser Kaiser Karl VI, which was joined by three more battleships in September. The French supported the Montenegrins, landing four 12 cm and four 15 cm naval guns in September and moving them into position in the following month, opening fire on October 19. With the addition of SMS Radetsky, the Austro-Hungarian battery was able to overcome the Montenegrin position, which was abandoned by November, 1914. From a painting by Alphonse LaLauze, 1915. 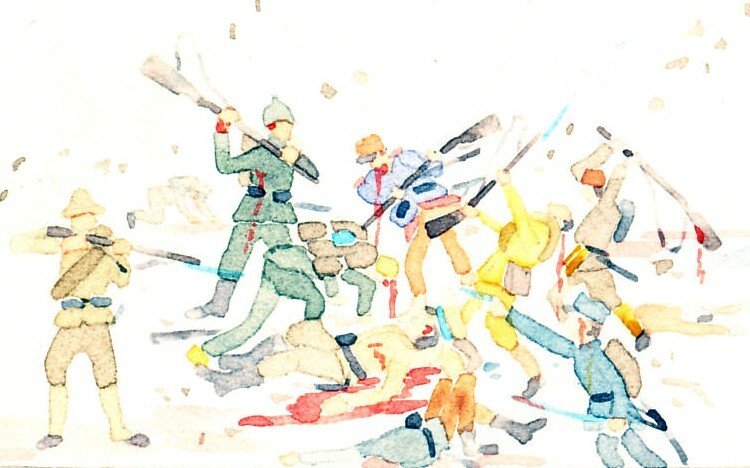 Batailles des Monts Lowsen, 29 Août 1914. The 1878 Treaty of Berlin ending the Russo-Turkish War affirmed Turkey's significant war losses and led to the establishment of Serbia, Montenegro, Romania, and Bulgaria. 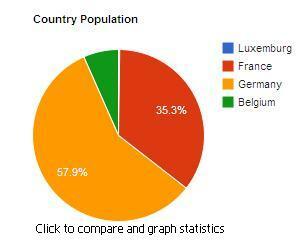 It also assigned administration of Bosnia-Herzegovina to Austria-Hungary. The Principality of Montenegro was declared a Kingdom on August 28, 1910, with Prince Nicholas becoming King Nicholas. He had fostered close ties with Russia, and continued to build upon those. In the First Balkan War (October 8, 1912 to May 30, 1913) Montenegro, Greece, Bulgaria, and Serbia united against Turkey, defeating it, and shrinking its foothold in Europe. Albania's independence was confirmed. Montenegro declared war on Austria-Hungary on August 5, 1914, and coordinated war plans with Serbia. Austria-Hungary had some success against Montenegro in its first invasion of Serbia, but, after reorganizing its command structure, Montenegro recaptured territory it had lost. 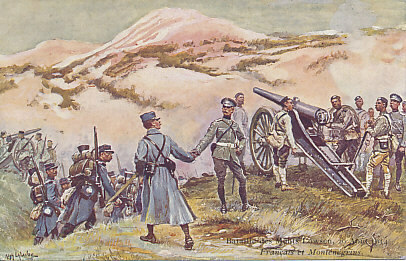 As part of its war effort, Montenegrin artillery bombarded the Austro-Hungarian naval base at Cattaro from batteries on Mount Lovćen, receiving French support and naval guns in October. Austro-Hungarian battleships ended an ongoing artillery duel by putting the Montenegrin batteries out of commission by November, 1914. The 1915 invasion of Serbia was a coordinated attack by Germany, Austria-Hungary, and Bulgaria, but Austria-Hungary extended its advance by invading Montenegro on October 9, 1915, taking Centinje, the capital, on January 13, 1916. Montenegro surrendered on January 17. Austrian commander Conrad von Hötzendorf advanced into northern Albania, infuriating Tsar Ferdinand of Bulgaria who threatened war on Austria-Hungary for its actions. With the Austro-Hungarian Empire coming apart, and Entente Allied forces breaking through on the Salonica Front, the Empire's forces fled Montenegro in October 1918. Montenegro is a country in Europe.